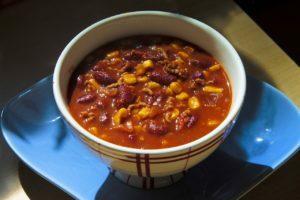 Chili works well for a afternoon meal while the football games are on and family and friends have gathered. Brown beef, drain fat and put in Crockpot. Add rest of ingredients, except kidney beans. Cook on low 8-10 hours or on high for 5-6 hours. Add beans about 1 1/2 hours before you serve. This recipe is an easy way to enjoy in veggies and a great way to use up leftover cooked chicken. In a large skillet, heat oil and cook onions until slightly soft. Add celery, mushrooms and 1 1/2 cup chicken broth. Cook over low heat for 10 minutes, stirring a few times. Add water chestnuts, bean sprouts and bamboo shoots. In a small bowl, make a mixture of cornstarch, soy sauce and 1/2 cup chicken broth and stir until smooth. Add mixture to the large skillet, along with the cooked meat. Add freshly ground pepper and mix well. 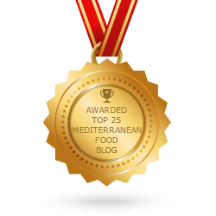 The flavors of the Mediterranean are quite delicious. This is an easy way to prepare lamb on a busy weeknight. Enjoy this main dish with a glass of red wine. Cook and stir ground lamb in 10-inch skillet until lamb is light brown; drain. Stir in tomatoes, celery, orzo, salt and red pepper. Cover and simmer about 12 minutes, stirring frequently until tomato liquid is absorbed and orzo is tender. As we move into spring, Caesar Salads are a perfect base for a meal and quite easy to make. This specific one is topped with chicken. For a substitute you could try a blackened fish or shrimp. Chop up stale bread, brush with olive oil and sprinkle with garlic powder. Toast in 350° oven till brown. No more than 10 minutes. Wash romaine and chop into bite-sized pieces. In a bowl, combine oil, vinegar, Worcestershire, salt and pepper to taste, garlic, lemon juice, anchovies and mustard. In a large bowl, toss lettuce and dressing and half the cheese together, along with croutons. 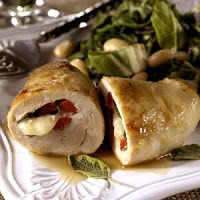 Serve on individual plates and top with chicken and remaining cheese. Follow @willclowerFor more information: Click here to visit Will Clower’s website. Herbs make meals come to life and they are also super for our health too! Dill is one of those special ones that works wonderfully with salmon. Melt the butter in skillet on low heat. Cook salmon 10 minutes per inch of thickness. Turn twice, salt and pepper to taste. When salmon is done remove to hot platter. Put sour cream and dill in skillet and turn heat off. Sour cream should be warm after a few minutes. Pour over salmon and serve.